DUBAI: PRNewswire: Dubai World Trade Centre: Dubai World Trade Centre (DWTC) will host acclaimed industry exhibitions: Vision X from 25-27 October and Gulfood Manufacturing 7-9 November, with Digital Media Sapiens (DMS) driving their success by reaching out to international visitors and growing awareness and registration’s through their staggeringly successful digital campaigns. With an incredible 11.2 million estimated ad impressions and an expected 200,000 ad clicks, DMS predict a record number of visitors to this year’s Gulfood Manufacturing exhibition, which will connect in excess of 35,000 food and beverage processing professionals to 1500 global suppliers. The challenges of tapping into this niche market of industry champions will be overcome by a robust digital marketing campaign, utilising multi-lingual targeting to ensure the key message to attend is hitting hard, driving ROI! Vision-X is the only eyewear and eyecare business event in the MENA region, bringing buyers and sellers together to source new products and brands, catch up with the latest trends, customers, contacts and industry information. DMS anticipate they will generate 600,000 ad impressions generating 15,000 ad clicks. The event is expected to connect over 4000 leading industry buyers with more than 1000 suppliers. As the preferred digital marketing agency selected for exhibitions at the World Trade Center, Digital Media Sapiens has an impressive history. Previous campaigns have included Gulfood 2016, Gitex Shopper 2016, CABSAT 2016, World Art Dubai 2016 and Dubai Motor Show 2015. Gulfood is widely considered to be the top trade event in the global food & hospitality business calendar, the 21st edition earlier this year saw more than 90,000 industry professionals tread the hallowed halls of DWTC, and more than 9,000 of these were direct registrations from Digital Media Sapiens all-encompassing online campaign. Representing more than a three-fold increase in paid registrations, a quick look at the other top line figures reveals even more impressive results: more than 24 million impressions across the Google search & display network, more than 200,000 clicks and more than 300,000 impressions of ads promoted through Facebook with an impressive CTR of more than 1.5%. Dubai Motor Show 2015 saw DMS plan the entire digital media marketing strategy and execute a month-long SEM campaign and the top-line results were hugely impressive, resulting in the Motor Show receiving more online bookings than ever before. The team at DMS developed dedicated tactical Search and Display campaigns, combined with an aggressive YouTube strategy, which formed the starting point and foundation for the successful campaign. This regional campaign was then further refined with sophisticated targeting and remarketing, allied with carefully selected contextual and niche targeting using a combination of rich media adverts. Through utilisation of multiple creatives, sizes and formats and with rigorous monitoring of ad performance, the campaign was continuously optimised to ensure maximum ROI. “We were delighted to have been responsible for the planning, execution and implementation of the digital marketing strategy for the Dubai International Motor Show. It’s testament to the progress and reputation of DMS in Dubai that we were awarded such a prestigious contract and thanks to the dedication and hard work of our talented team that we were able to deliver record results. 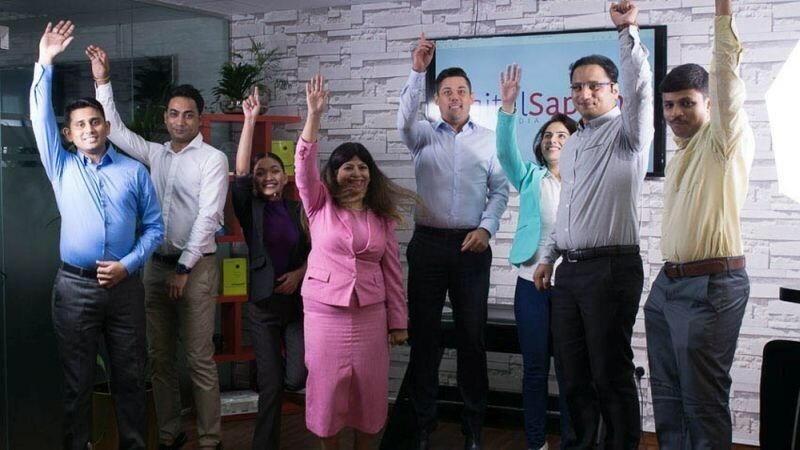 This really validates the underlying ethos of our whole company – we walk, talk and breathe ROI.” Sangeeta Butani, MD, Digital Media Sapiens, Dubai. Digital Media Sapiens are an award winning digital media agency headquartered in San Antonio, Texas with offices located in JLT, Dubai and India. The company provides leading edge digital marketing techniques and social media strategies including website design and development, search engine marketing (SEM), search engine optimization (SEO), online reputation management (ORM) and mobile apps for iPhone, iPad, and Android devices. The company works with a number of high profile clients including Microsoft, Dubai World Trade Centre and Dubai Dolphinarium. They also conduct social media and digital marketing trainings, workshops and speaking engagements.